Beef, water, brown sugar, salt, contains 2% or less of flavorings, vinegar, hydrolyzed soy protein, citric acid, sodium nitrite. It starts out with a light sweet and a slight oily flavor. Saltiness comes in the with first few chews and then touches of soy sauce are noticeable. There's finally a faint bit of spice in the background. 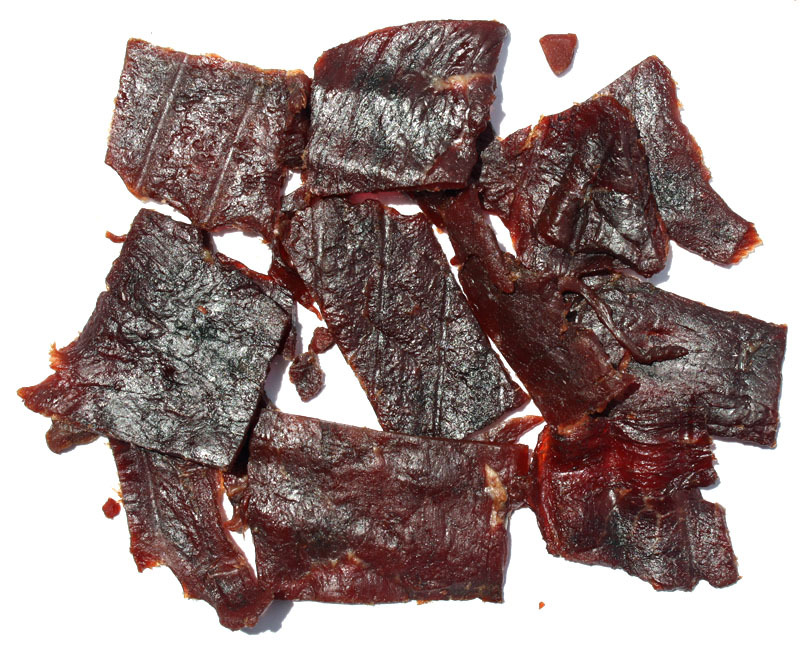 As a beef jerky, marketed as an "Original" flavor, it has a mild, unremarkable taste. It provides a moderate level of saltiness, just enough sweet, and touches of spice, to keep you reaching for more without trying to win your approval. I pick up just faint amounts natural meat flavor. 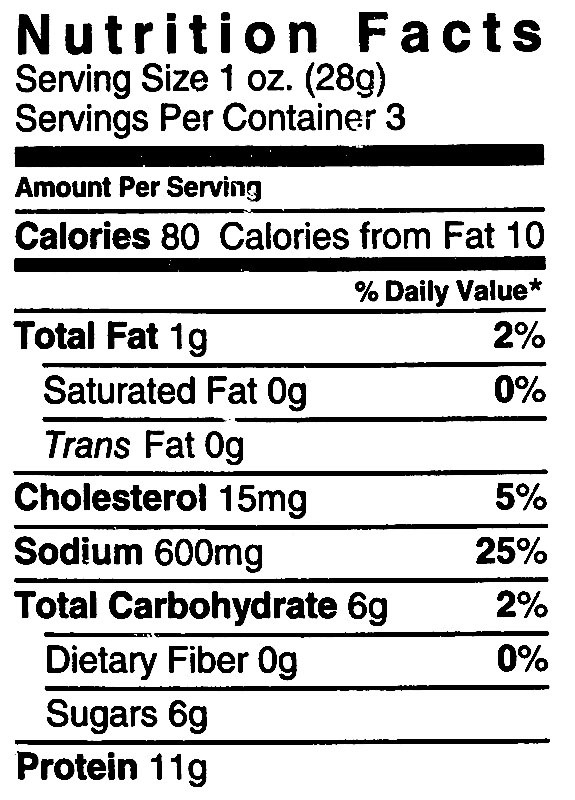 Overall, what you're going to get from this is largely a salt flavor, and then bits and pieces of other ingredients. Otherwise, it's largely your garden variety jerky found at the checkout lines of electronic stores and Bass Pro Shops. 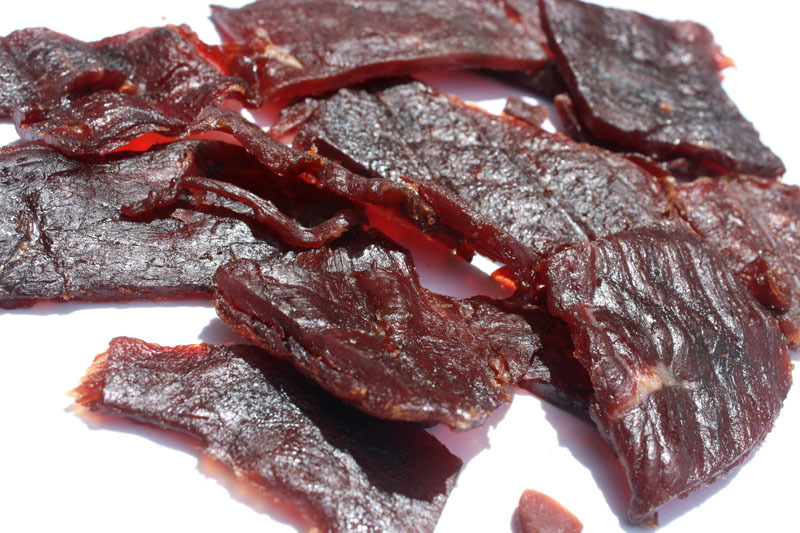 The meat consistency has that classic, chewy, meaty texture found in most whole-muscle jerky brands, with a decent amount of steak-like chewing once it's been chewed down. It's not really tough, but not really tender either. It's mostly a dry jerky with a light amount of oily surface feel. I didn't encounter any stringy tissues or unchewable wads, and minimal fat. 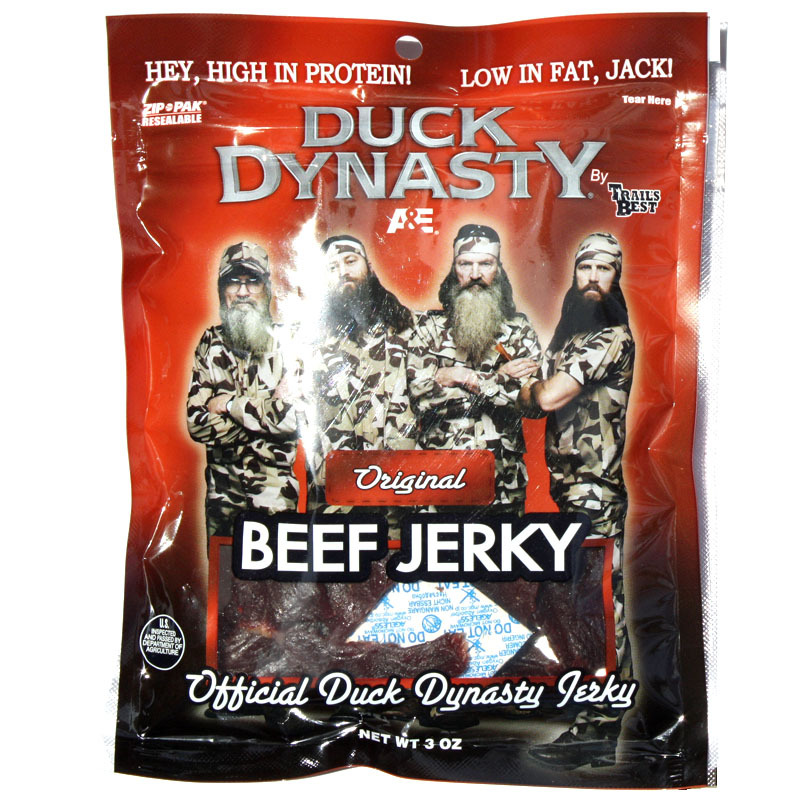 Duck Dynasty Beef Jerky is sold in select stores across the United States, but can be purchased online through Amazon.com at a price of $8.25 for a 3oz package. Verdict: This Original variety of Duck Dynasty Beef Jerky offers up a lightly spicy, but overall mild jerky flavor with largely a moderate saltiness as it's primary taste profile. It's chewy, but not tough, yet still provides a steak-like chewing with no stringiness or unchewable tissues.